Cloud computing is driving modern businesses to acquire amazing capabilities by reducing dependence on legacy hardware systems and on site IT infrastructures. Cloud empowers its users with an on demand access to wide range of resources including storage, and software applications with help of a pool of networked servers that ensure uninterrupted availability. Cloud is driven by virtualization technology and it is the same technology that is used to build Virtual Private Servers. 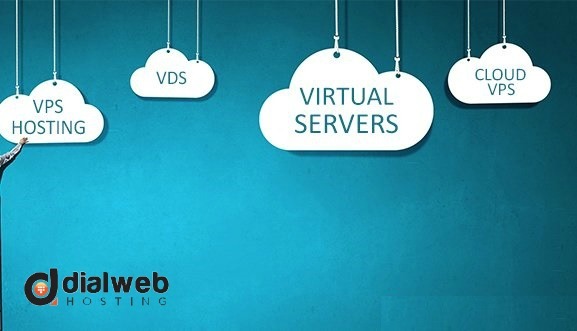 VPS hosting is poised to dominate traditional hosting services due to the cost concerns of dedicated hosting, limitations of shared hosting and overselling practices adopted growing number of shared hosting providers that are engaged in profiteering. Traditional VPS hosting is also set to be replaced by more advanced version termed as cloud VPS hosting. Cloud VPS is built by networking multiple servers unlike a traditional server that draws its compute power and other resources from a single machine. In cloud VPS hosting, users can benefit from additional layers of hardware for enhanced redundancy and improved availability. Cloud environment offers uninterrupted scalability for improving CPU cores and provisioning of additional RAM without any delay. In a cloud VPS users can count on fault tolerant hardware. Cloud VPS can migrate to another node in the event of failure of existing node to ensure business continuity. The centrally operated SAN storage system in cloud VPS solution is designed for better management of mission critical data of enterprises. The cutting edge storage solution ensures stringent data control and freedom from maintaining multiple storage disks. Cloud VPS also offers rapid data backup die to premium bandwidth and high speed network access. Fundamental advantage of cloud VPS is ease of accessing data from any global location without time restrictions and ability to add or subtract resources in response to demand variations. Cloud VPS boosts resource availability for improved SAN storage capabilities with help of integrated pool of software as well as hardware infrastructure. Users can get better value for their investment due to clustered network of geographically remote availability of servers with enhanced flexibility and on demand scalability. Traditional hosting is a logical intermediate solution between shared hosting and dedicated hosting. Steady growth of business can put excess load on available resources and users of traditional VPS may be forced to migrate to a costly option of dedicated hosting. It would be a more prudent choice to move to cloud VPS instead of traditional VPS from shared hosting. This will offer better stability of hosting since cloud VPS does not suffer from limitations of traditional VPS. You can easily manage increasing workloads without any hassles in cloud VPS environment. The hosting option virtually immunizes your website from traffic spikes with help of state of the art load balancing solutions that efficiently distribute workloads such as SSL requests, database queries, and traffic surge across wide spectrum of server nodes. Traditional VPS is not able to ensure such level of scalability, uptime guarantee, and fault tolerance. In a traditional VPS hosting environment, there is an upper limit to availability of resources. CPU and RAM are commonly shared by all tenants while user has independent access to hard disk and bandwidth. Hence there is always a lurking possibility of a downtime due to activity of neighboring tenants. In contrast, cloud VPS leverages the latest virtualization technology to ensure that every single user is able to access optimum resources. Conventional VPS depends on a single local server that contains the disk. However, in case of cloud VPS there are individual assortments of disks in cluster of multiple physical machines. Migration to cloud VPS from shared hosting guarantees long term stability of website performance with ease of resource addition. In a traditional VPS hosting users have to go through a complex procedure whenever they have to add resources. Traditional VPS hosting is entirely dependent on a security and performance of a single physical machine. If there is any hardware failure or a component problem, then the websites on the server would face downtime. Cloud VPS frees users from fear of single component failure. VPS hosting in a traditional data center environment is always exposed to downtime that may be due to outages, hardware malfunction, or network problems. Cloud VPS leverages cutting edge cloud computing and a large pool of server resources to ensure unhindered website performance. Management of security in a cloud environment offers a more advanced approach by facilitating organizations to invest lesser man-hours. High end data protection measures employed by cloud VPS hosting are guarantee data protection and integrity. Cloud VPS is a VPS powered by cloud for better fault tolerance and remarkable hardware redundancy. With a cloud VPS solution, you can gain edge over competition due to its outstanding scalability, power, performance, and robust control. Cloud VPS is an ideal solution with load balancing features for website launching, application hosting, and any other mission critical web project.